M & N Mattress and Furniture has been serving Oceanside and the Vancouver Island community since 2000, proudly carrying only British Columbia manufactured furniture and mattresses in our Mattress Shop. We offer comprehensive product knowledge, guaranteed lowest prices on Vancouver Island, free delivery/set up, and excellent customer service! 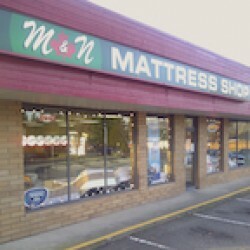 In 2011 M & N Mattress Shop was recognized as the top independent retailer of Restwell / Springair Mattresses in British Columbia. In our commitment to providing our customers with the best available products, we are very excited to be able to offer T3 Recovery Mattresses featuring Ironman® Sleep Technology.